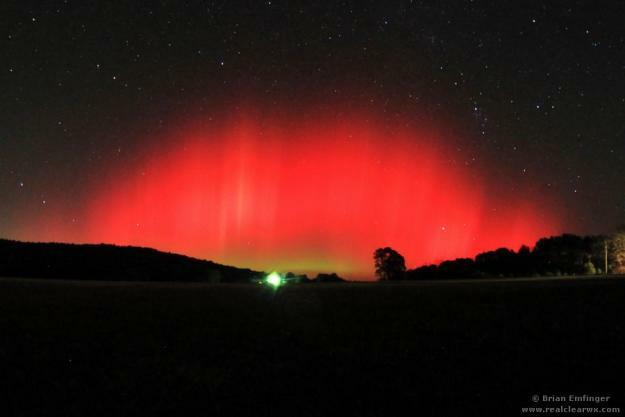 A massive geomagnetic storm caused by solar activity made last night's sky erupt with color all over the northern hemisphere. 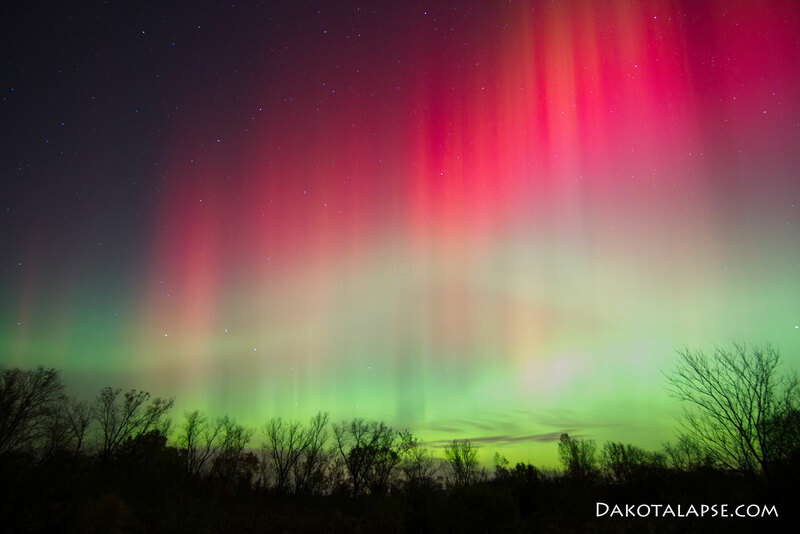 The aurora borealis or northern lights are a common enough phenomenon in areas high enough in latitude to be near the magnetic poles. 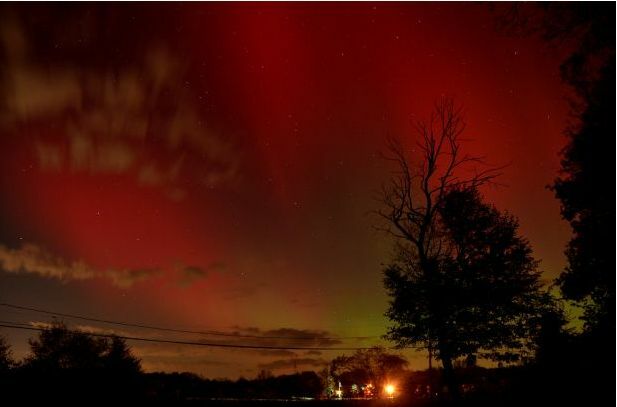 But due to a massive coronal mass ejection (heh) of solar wind particles released from our sun at around 3 pm EST yesterday, the Earth's magnetosphere was compressed to the point where dazzling aurora displays were seen as far south as Alabama on the Gulf Coast of the United States. 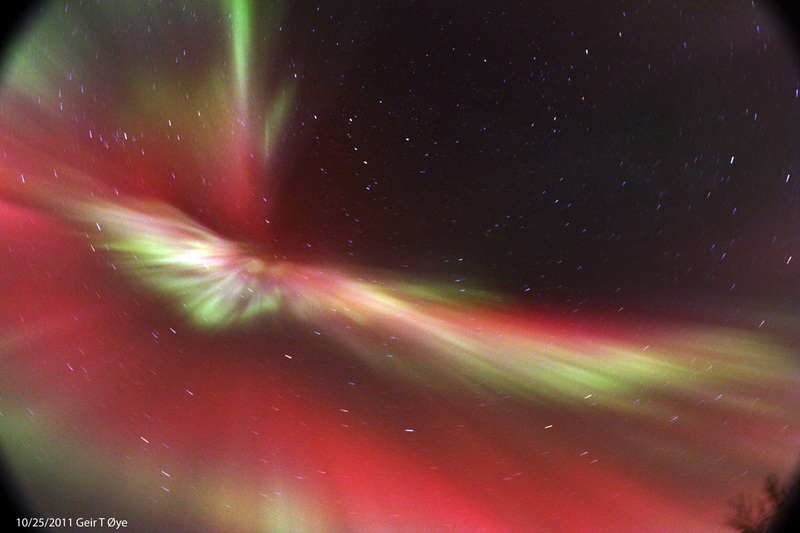 Amateur and professional photographers grabbed the chance to capture the display. The sun has slowing been building to what is ominously referred to as "solar maximum". Solar flares and other ejections will continue to increase until sometime in 2013 as magnetic stresses ripple through the sun's interior. 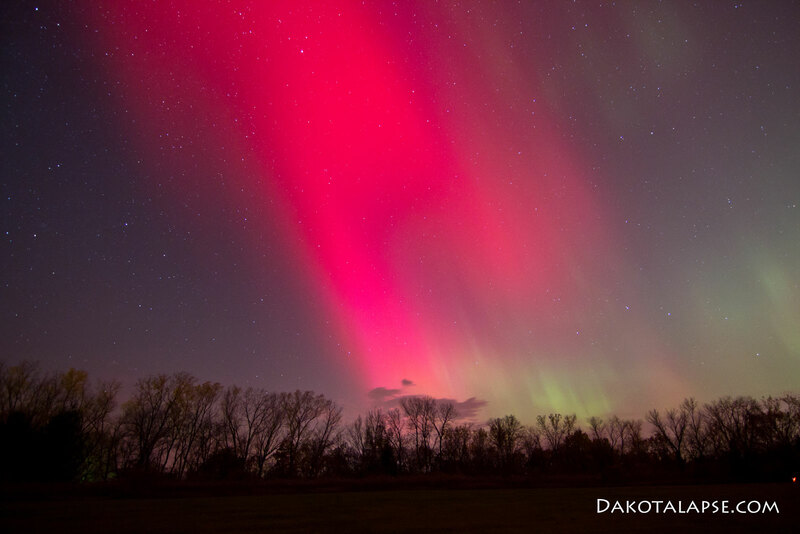 The effects of flares causing geomagnetic storms can be more than just pretty. In 1989, solar eruptions bombarded the power grid run by Hydro-Quebec, knocking out electricity for millions of people and last year a flare hit a communications satellite, frying its electronics. The "zombiesat" became unresponsive and started drifting, causing a danger to still working satellites around its orbit. Thankfully, no such events have been reported due to this massive storm. All we have are these pretty pictures.